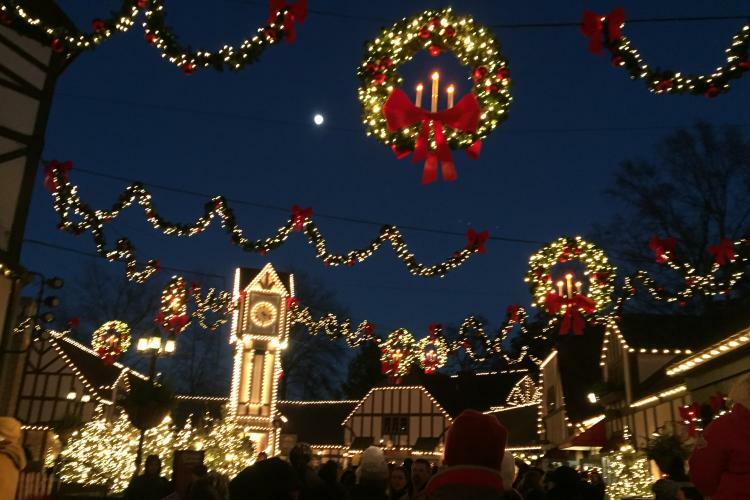 Busch Gardens in Williamsburg is where Christmas shines brightest! Christmas Town is at it again at Busch Gardens and is glowing the brightest! Seeing these holiday lights is such a unique experience. Aside from breath-taking lights at Christmas Town, there are rides, roller coasters, and musical shows that are fun for the whole family! Don't forget to check out the Highland Stables, Santa's Workshop, and the Polar Pathway! The Highland Stables will take you to the old Scottish country side to visit with majestic horses. At Santa's Workshop, you will meet Santa himself! Santa's Workshop shows children where all the toys are made. Don't be surprised if you see a couple of elves running around in the workshop! The Polar Pathway is where the ride, Escape from Pompeii, has transformed into a huge waterfall of light! The hours of Christmas Town vary. The doors always open at 2:00 PM, but depending of the day, Christmas Town can either close at 9 PM or 10 PM. Christmas Town is closed on Christmas Day, and is open on Christmas Eve! This is a holiday experience you do not want to miss! Single Day Tickets are $35.